This stunning 12-day gay group trip will show you the cultural riches of Mexico. 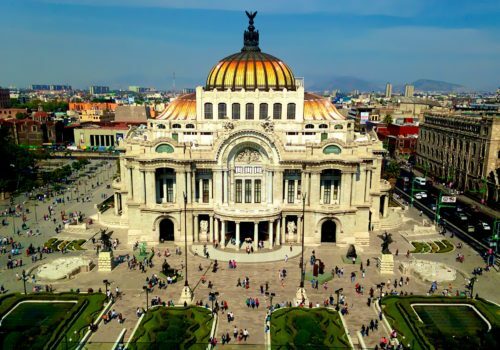 From the sprawling metropolis of Mexico City to the ancient pyramids of Teotihuacan, you’ll experience Mexico’s present culture and its distant Mayan and Aztec past. There’ll be plenty of excellent Mexican cuisine and tequila to enjoy along the way. Mexico is becoming an increasingly popular destination for gay travellers. This trip will show you why. When you arrived at the airport you’ll be transferred directly to your hotel. You’ll get the chance to meet your fellow travellers with a welcome drink at a restaurant overlooking the Cathedral and National Palace, where you’ll start to get a feel for Mexico City. It is, in fact, the biggest metropolis in the Western Hemisphere. We’ll then head to the Azul Historico for dinner. This will be your chance to see the ruins of a once great civilisation. The city of Teotihuacan was built over a thousand years before the Aztecs arrived and it’s still something of a mystery as to who originally built and inhabited it. After having a traditional lunch in a private home we’ll head to the Shrine of Guadalupe. Formerly one of the most visited Churches in the world, this is a significant pilgrimage site. For our evening meal we’ll be going for something rustic at a local restaurant. We’ll be heading to the Coyoacan neighbourhood of Mexico City to visit Casa Azul, Frida Kahlo’s former home. 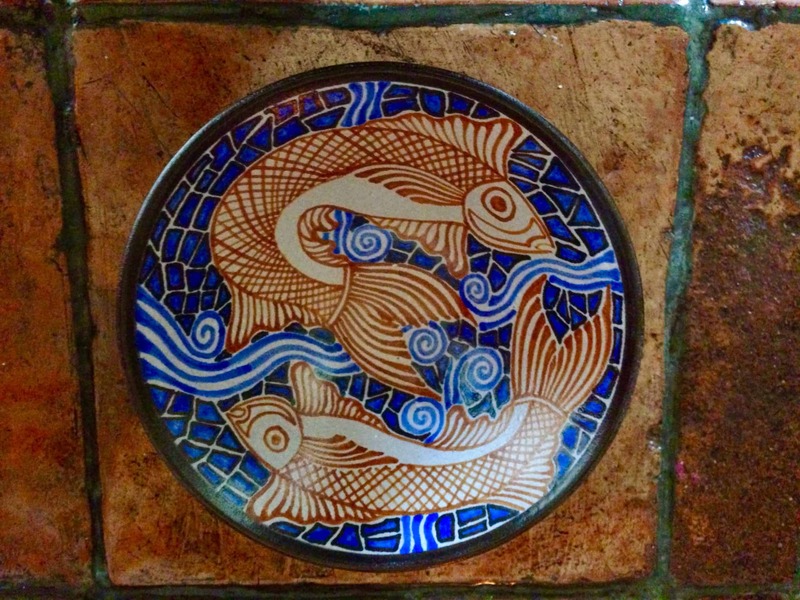 The Casa Azul will give you a glimpse into the life of one of Mexico’s greatest and most iconic artists. We’ll then head to San Angel for the Saturday Art Market. Here you’ll see many stalls offering handmade jewellery, crafts and textiles. After lunch and drinks we’ll take a boat ride to the Floating Gardens of Xochimilco, a World Heritage Site. Evening at leisure. Wake up bright and early for a performance of Ballet Folklorico at the Palace of Fine Arts. We’ll then be heading to Puebla for lunch in its historic old town. After checking into our hotel we’ll head out for a guided tour of Puebla. Work up an appetite and you’ll be rewarded with a tasting tour of the local market. The Great Pyramid of Cholula was built over a period of around 600 years and it’s the largest pyramid in the world. We’ll then head for lunch by way of two baroque churches. As well as visiting the Amparo Museum we’ll see the Church of Santo Domingo and the Rosary Chapel. In the evening we’ll enjoy live music, dinner and maybe a dance at La Casa de Mendrugo. Cuernavaca is The City Of Eternal Spring. We’ll check into our hotel and have lunch. Then we’ll head to the Palace of Cortes and the Cuernavaca Cathedral. Our final stop will be the Robert Brady Museum which boasts a unique collection of art. In the evening we’ll dine at Casa Hidalgo. From The City Of Eternal Spring we’ll head to Taxco, The Silver City. Here we’ll find Xochicalco, an ancient city showing the ruins of the Zapotec, Aztec and Olmec people. After lunch we’ll head to our hotel, Pueblo Lindo. After a brisk walk around the hillside of Taxco you’ll be able to explore the diverse culinary culture of the city. After visiting Taxco’s Cathedral we’ll have a traditional lunch at a local restaurant. We’ll then view the unique silver artworks of American silversmith, William Spratling. Pop your dancing shoes on as we shall attempt to bust some moves to live music at the Zocalo. We’ll then have dinner. We’ll be visiting the largest cave system in Mexico. After lunch in the town of Ixtapan de la Sal we’ll return to Mexico city for an evening of wining and dining in the Zona Rosa District. From Chapultepec Park we’ll head to the Anthropological Museum to see a vast collection of pre-Colombian relics and artworks. After lunch we’ll head to Chapultepec Castle, which has the distinction of being the only castle in North America to have been a home for real sovereigns. We’ll head to the Tamayo Museum of Contemporary Art and then head for dinner and drinks. In the morning we’ll see a stunning piece of Spanish baroque architecture, the Count del Valle Palace. This was once the home of Augustin de Iturbide, who became Emperor of Mexico after it gained its independence from Spain. We’ll visit the Diego Rivera Museum, have lunch and then see the Museum of Popular Art. We’ll head to the Mercado San Juan food market, and you can eat more great Mexican food. Leave some rooms for dinner as we’ll be having a farewell celebration with food and drinks that evening. After breakfast it’ll be time to say farewell to the group and to Mexico.